Food for Vata t. . .
Ayurveda, the ancient Indian scientific wisdom, gives us insight into identifying our mental and physical nature, thus empowering us to eat and live wisely. Strong emphasis is laid on the fact that our body type is determined by a genetic code at birth and also by our karmic memory. This forms the nature of our constitution known as prakriti in ayurveda. The minute we take birth, the five great elements of the universe, namely, earth, water, air, space, and fire are what make up our DNA. These are the organisers that maintain our health. The earth is the physical body, the water is its fluids, fire is the acids and enzymes of the body, air is the prana and breath, and space is the vibration of all vital systems together. Furthermore, ayurveda specifies that environment and culture, together, can positively or negatively influence our body types. Lymph, blood, muscle, fat, bone, marrow, nerve, sperm, and ovum are the vital tissues in ayurveda known as dhatus which carry the memory that shapes the mind of each and every organism. Each of us contains a unique configuration of earth, water, air, space, and fire within ourselves, and these five elements transmute into three doshas—vata, pitta, and kapha known as air, fire, and water principles respectively. Dosha which translates to ‘that which changes’, is the dynamic life force which determines your biological and psychological attributes (dosha type). These apply to both your body and mind, and each dosha is associated with two elements. The difference between the types is determined by the degree to which the three forces interact with each other. The Vata Dosha is associated with wind and air. The leader of doshas, it is the energy that controls all bodily functions related to motion, including breathing, circulation, blinking, your heartbeat, and your urges. Those who are predominantly the Vata Dosha type have physical attributes which are influenced by the characteristics of air. They tend to be tall, thin, and have slender bodies with prominent bone structure. They are fast walkers, have a quick, light gait and have trouble gaining weight. They have a tendency towards cold hands and feet, and feel uneasy in cold climates. Their skin and hair tend to be dry and they don’t perspire much. The Vata Dosha type’s mental characteristics can be described as being creative, enthusiastic, and quick to learn but also quick to forget. They tend to be talkative, lively, have a fun personality and are full of joy and enthusiasm when in balance. Emotional by nature, they have moods swing and often have irregular eating and sleeping patterns. Stress is countered with fear, worry, and anxiety, and they have a tendency to act on impulse. When a Vata Dosha type person has an imbalance in them, it can lead to digestive problems like bloating, gas, and dry skin. This can lead to loss of control over your activity and a troubled, unfocussed mind which overthinks, thus leading to anxiety and depression. When we speak of good health and holistic healing, we must look deeper and more fully at ourselves and acknowledge that a human being is mind, body, and spirit. Human food is defined in the Vedas as that which is rooted in the earth and which understands the self-supporting principle of life. 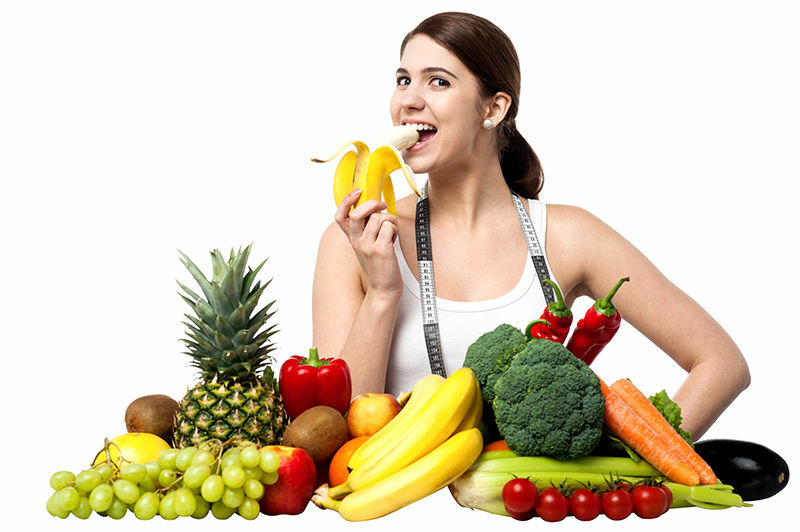 Thus, food can also be used to rectify the imbalance in the Vata Dosha type body. Vegetables: The entire gourd family, carrots, beans, pumpkin, and onions. Fruits: Banana, berries, papaya, melon, mango, pineapple, fresh fig, dry fig, lemon, peach, tamarind, dates (fresh and dried), oranges, grapefruit, and plums. Grains: Brown basmati or all types or white basmati rice, oats, millets, and amaranth. It’s important to keep in mind that a mono diet of brown rice is not recommended. Proteins: Moong daal and toor daal. Dairy products: Curd, buttermilk, cow’s milk, paneer, and unprocessed cheese. Fats: Cow’s ghee, sunflower oil, coconut milk and, occasionally, olive oil. Nuts: Almond, coconut, cashews, and chestnuts. Spices: Cumin, turmeric, ginger, coriander, pepper, mustard seeds, oregano, saffron, sea salt, rock salt, chili, pepper, cinnamon, clove, cardamom, garam masala, and vinegars. Sweeteners: Raw honey and dates. An ideal way of balancing a Vata Dosha imbalance is to stick to a consistent eating and sleeping routine, wear warm clothing in warm colours, and eat foods that are warm, cooked, nourishing, and easy to digest. Surrounding oneself with sweet, heavy aromas and calm music can also help. Exercise can be limited to meditative yoga, Tai Chi, walking, aerobics, and swimming—basically anything that focuses on your flexibility and balance. • Wash moong dal. Add to boiling water and cook over medium heat for eight minutes. • Remove moong from water when cooked but still firm. Using a masher, mash it in a bowl and add salt and pepper. • Sauté onions in olive oil for three minutes. Add minced parsley and sauté for an additional three minutes. • Combine moong-onions-parsley mixture with lemon juice in a grinder and grind to a fine paste. • Add the tahini and blend into the paste. • Serve the moong hummus. • Sieve the flour, add salt, onion, anaar dana, cumin seeds, chopped chillies, coriander leaves, and oil (save some for shallow frying). • Mix well. Add some water and bring the dough together. Do not knead too much. The dough must be stiff. • Divide the dough in 3–4 portions. Take each portion and roll with a rolling pin. • Place it on the tawa again, cook on each side, on medium flame, adding little oil or ghee from sides till small brown patches appear on the surface. • Serve hot with yoghurt, pickle, tea, or papad.